On Tuesday mornings I take a class at 5:45AM with a bunch of other loyal attendees to workout with this guy. Lance is full of energy, intense and focused on having fun while giving you the workout of your life. The workout takes place at Lifetime Fitness, although I know he does training and classes at various gyms around NJ. He was very gracious in front of the camera and we had a good laugh in between shots being taken as he came up with these very intense poses. Looking at him here, he's not someone you'd want to end up on his bad side however, he's the nicest guy you'd ever want to meet. This is the first of hopefully more trainers and fitness professionals I'll be able to shoot with in the coming months. Looking forward to more. I had another opportunity to shoot with Stef to feature some new clothing by Capezio. We had the luxury of having a gym to ourselves for a few hours so we took advantage of the space and time. Another advantage of having the whole gym to yourself is you can use any of the "props" that are around. How about a super large tire? We were going for demonstrating strength and maybe a couple tricks to show flexibility. I think we did both in this shoot. I was recently invited to photograph a long time friend of mine doing some anti-gravity yoga. Its something I've never seen in person or experienced so it was insightful to take a few photos and see what it is all about. This, in general, is one of the things I like most about being a photographer - being in situations I wouldn't have otherwise been in. There's a lot of focus and attention inward. I came in once the session already started and we didn't actually say hello until she was done with this private session. 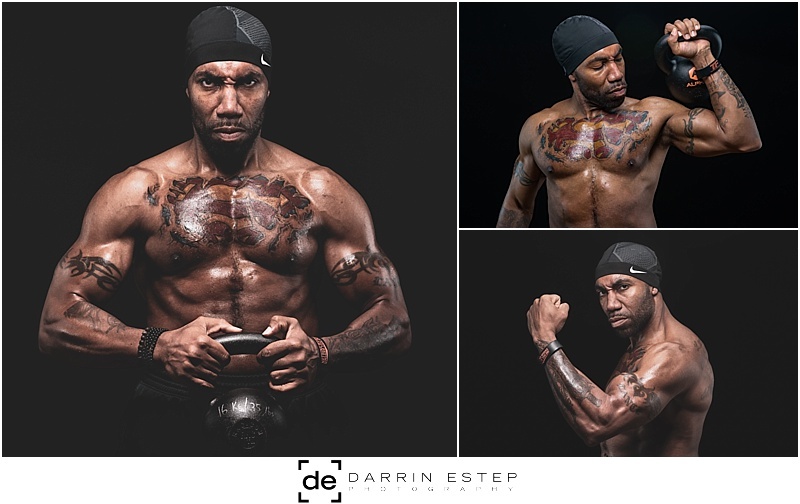 This is a nicely lit studio in NYC that was fun to explore from a photographers perspective. Shot all in natural light. One of these days I'll try this anti-gravity session and experience for myself. Looking forward to our next shoot. Stephanie, whom I've worked with multiple times in the past, recently was selected for an opportunity to model some new Capezio clothing. 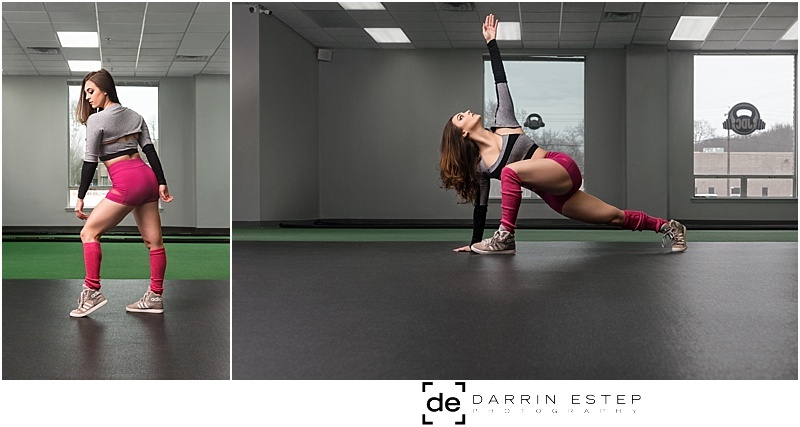 She asked me to help capture some images to market these clothes to the active, fit females everywhere! Steph had a few pieces of clothing to feature so we moved around a bit to keep in the sports/active mode while featuring the clothing, and her, in action. She got a little workout in the meantime. Keeping it real. Steph has been a dancer for many years which allows her to move and stretch like one. For this last one, we got a little help with the edit. Thanks to Olya Bro for some photoshop work on this one to clean up the surroundings. Great kick! I planned a beach volleyball shoot in the summer and it didn't work out and boy am I glad. This is the shoot I planned but not when it was originally scheduled. For various reasons we had to push it back to early September and we were blessed with a beautiful warm day and nobody around since it was a day when most people are back to their lives after the summer is over. I had worked with Erke before but this time she brought along a friend, Cassandra. Super fun to work with and her height came in handy for jumps like you see above and even beforehand with hooking up the net since none of us could reach without a step stool. We headed to Bradley Beach on the NJ Shore and pretty much had the run of the place. We started shooting around 3pm and shot until the sun set. Now these girls are not pro volleyball players but you'd never be able to tell. We were fortunate to have help with the location and instruction from Landa (true volleyball player and referee). Both of these girls went at it pretty hard all day with jumping and diving for the ball. We took a break just before the golden hour and got back to it for some of these shots. Such a fun shoot on the beach! This last set above is more of their expertise. Love working with talented people! Big thanks to Erke & Cassandra!